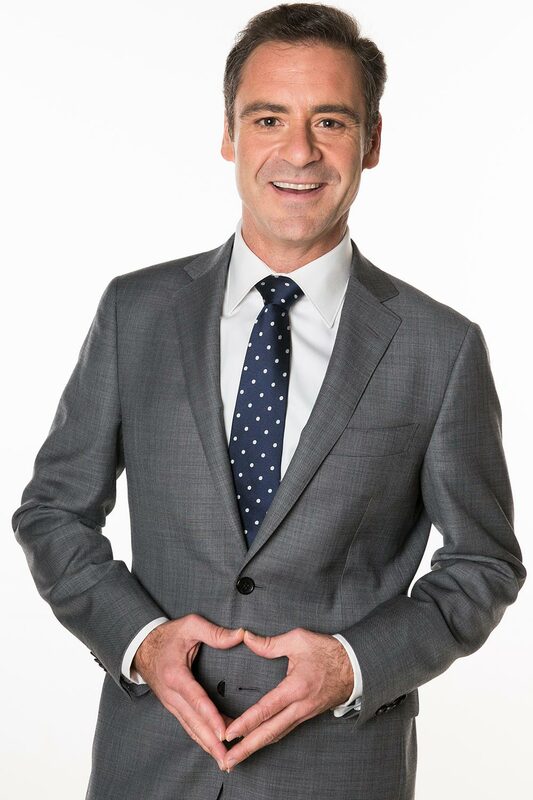 Host of the Seven Network’s hugely successful general knowledge game show, The Chase Australia, Andrew O’Keefe is one of Australia’s most well-known and versatile performers as an accomplished television host, actor, opinion writer, singer and producer. 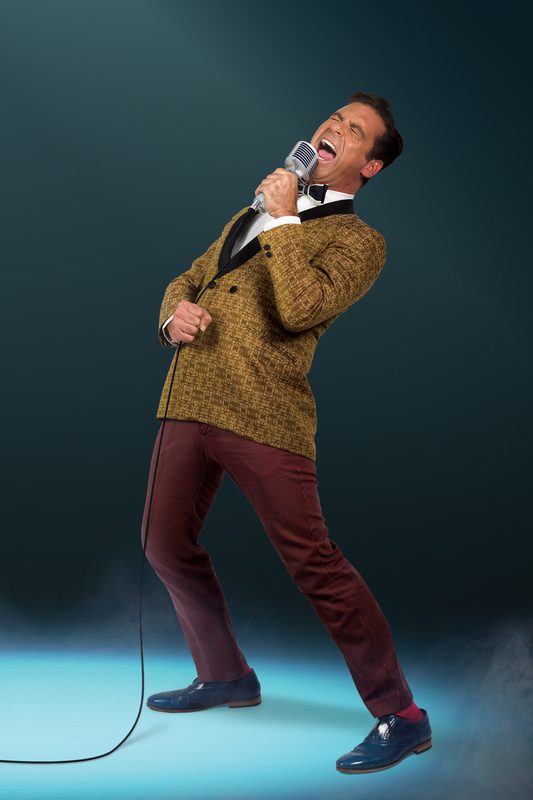 In 2018, Andrew presented a brand new cabaret show, Andrew O’Keefe “Shouts” Johnny O’Keefe; a tribute show in honour of his late uncle and legendary Australian rock n roll star, Johnny O’Keefe. 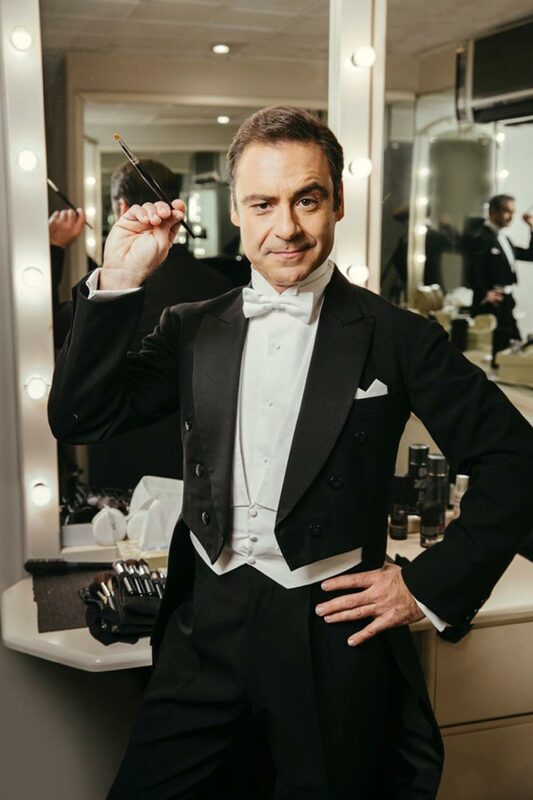 The show received rave reviews, so much so, that Andrew will again be on the road performing the show throughout 2019. Andrew’s television career started with the ARIA-nominated sketch comedy Big Bite. Since then, in addition to presenting on the Seven Network’s morning programme, Sunrise, and eleven seasons of the hit game show, Deal or No Deal, he has co-hosted the historic tri-network tsunami appeal Reach Out to Asia (in 2004), the Logie Awards (in 2005) and two seasons of The Rich List (2007 & 2008). Along with his many other talents, Andrew is a classically trained singer (A MusA). In 2013, he entertained audiences across the country when he took to the stage playing the role of King Herod in the Australian tour of the Jesus Christ Superstar Arena Spectacular. Andrew again graced the stage in March 2015 in Harvest Rain’s Pirates of Penzance production held at QPAC, in a much-acclaimed turn as the swashbuckling Pirate King. In 2017, he toured a sell-out season of Gilbert and Sullivan Forever! a wild cabaret romp through the much-loved G&S repertoire. Before his entertainment career, Andrew followed in the footsteps of his father (Supreme Court Judge Barry O’Keefe), working in commercial litigation for five years with top-tier Australian firm Allens, and for a stint with the Public Interest Advocacy Centre NSW. But like his uncle, Johnny O’Keefe, Andrew’s passion for entertainment overcame any thoughts of a straight and licit career path. In 2009, Andrew put on his producing hat to launch his own format, This is Your Laugh, a chat show with comedy improvisation, for the Seven Network’s HD Channel. Andrew was nominated “Best New Male Talent” in the 2004 Logie Awards, was nominated for the Silver Logie for “Most Popular TV Presenter” in 2005 and 2006, and has been nominated five times for “Most Popular Light Entertainment Programme” for Deal or No Deal. He was also a part of the team that won the World Improv Championships in Montreal, Canada in 2001. Outside of his career in entertainment, Andrew is a passionate advocate of social-justice causes, most notably in his role as a founding member and Chairman of White Ribbon Australia, a nationwide not-for-profit campaign dedicated to eliminating all forms of violence against women. Andrew is also currently on the Board of the Migration Council Australia, and, in 2017, he was recognised as a Member of the Order of Australia for his charitable and social-justice endeavours. Andrew’s years of experience hosting corporate events together with his unmistakable charismatic presenting style make him one of our most highly sought-after and enjoyed master of ceremonies as a professional truly accustom to wowing a crowd.